What is your favourite cuisine? What I eat is dependent upon my mood, but the usual suspects include Indian, Japanese, Italian, Spanish and Mexican food. El Contador is a new-ish Mexican kid on the block, whose prime location in the city is the spot to go for moreish Mexican morsels. Serving dishes from its compact kiosk-esque space, the vibrant food is noteworthy and highly Instagrammable. I caught up with Shane Wood, Sarah Nixon and Tara Pitt, the powerhouse team behind El Contador to discover more about Derby’s latest Mexican venture. How did your company come to be? What is your ethos? The idea arose from the frustrations that Sarah, who is coeliac, faced when she wanted food that was healthy, fast, accessible and gluten free in Derby due to living a busy lifestyle. It was soon apparent that there was not a big market for this type of food in Derby. Shane, due to time spent in America, thought of the idea to start the Mexican Food Counter that fulfilled these requirements. They did not only want to limit it to their experiences as there was a notable lack in market for fast food options regarding vegetarian and vegan options too. Tara, who came to work for El Contador a few months after opening, expressed her desire to work for us as she found our food options suited her busy lifestyle as a law student. She also has been diagnosed with an autoimmune system disease called endometriosis which requires her to eat less processed food options, cut out meat and eat as healthy as possible. She then went onto to be the Social Media Executive. 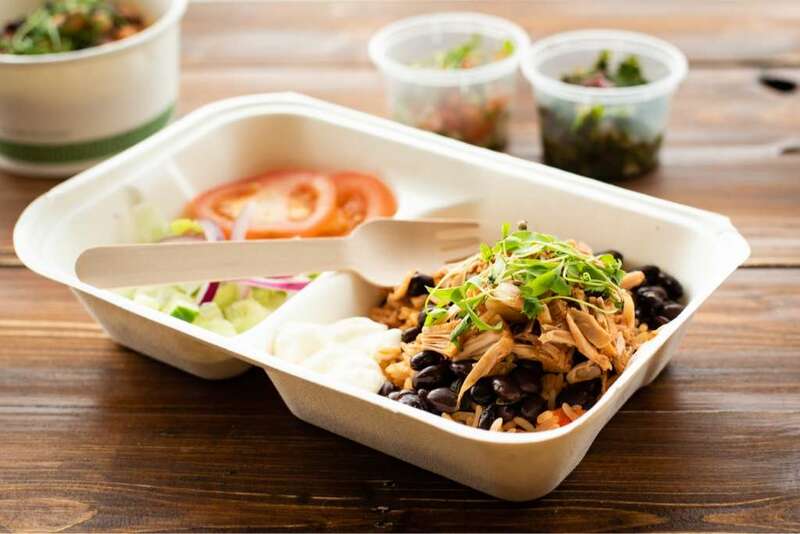 The Ethos of El Contador is to be a Mexican food counter serving easily accessible take-away dishes catering for people with dietary requirements. El Contador is an exotic name. What does it mean? El Contador is a Spanish phrase that translate in English as ‘The Counter’. 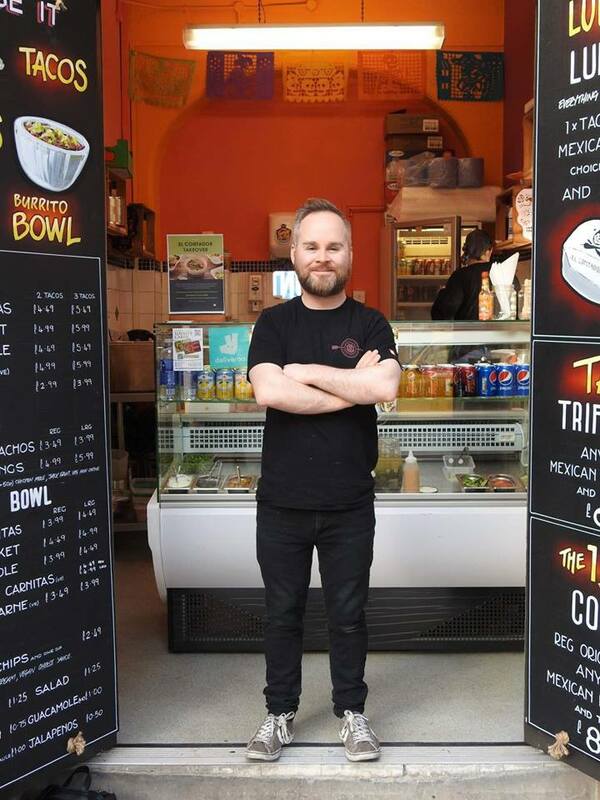 It describes the business perfectly as a walk-in, street-food take-away counter. 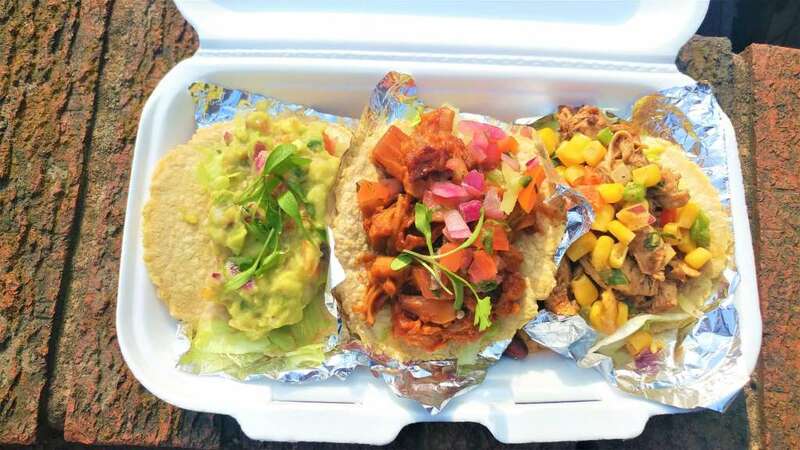 What does El Contador bring to the dining scene in Derby? El Contador brings a unique element into the Derby food scene, as we offer more than the traditional take-away in terms of dietary standards, lifestyle options, prices of product. All our food is homemade, which we are very proud of. The mercurial, fast-changing dining scene in Derby and the wider Midlands means that eateries have to work harder to woo and retain customers. What plans does El Contador have to cement a loyal fan-base? 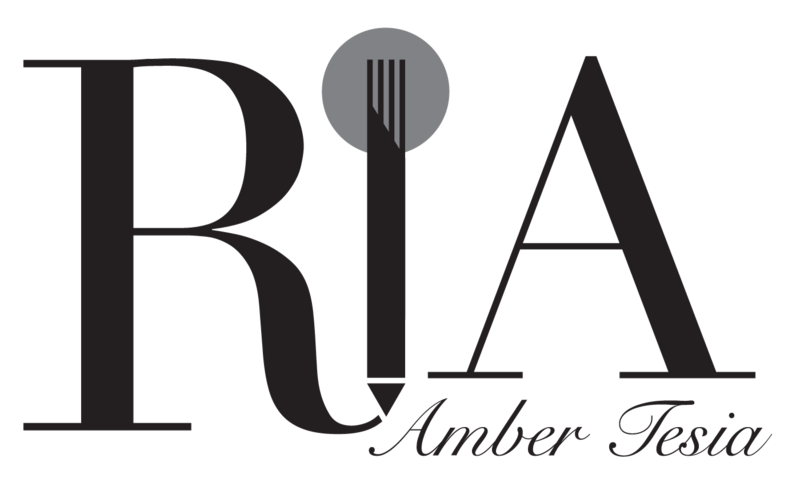 We aim to offer our customers special dishes which keep the menu contemporary and interesting. This means consistently testing out new dish ideas on special promotions and appreciating customer feedback. 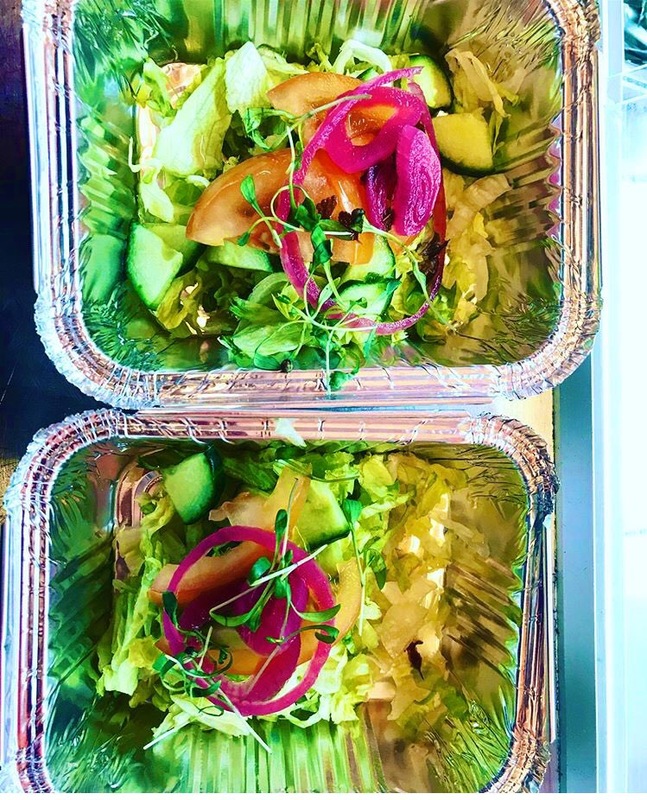 We also like to showcase a variety of our original dishes and new dish ideas at events such as the take-over with Elements and the ALT-EATS festival so that we are knowledgeable of which dishes are more popular and what our target customers are keen to eat. By taking part in different events, we can showcase our menu beyond the take-away exposure to gain new customers and get more genuine customer feedback. Our target customer base is everybody. We find foodies, who tend to have different dietary requirements and lifestyle choices are more likely to attend food festivals as they look further to find caterers to serve their needs. Who comes up with ideas for the menu? Is it a collaboration, or does a head chef have the final say? Shane is the man behind the variation of menu ideas behind the takeover events. 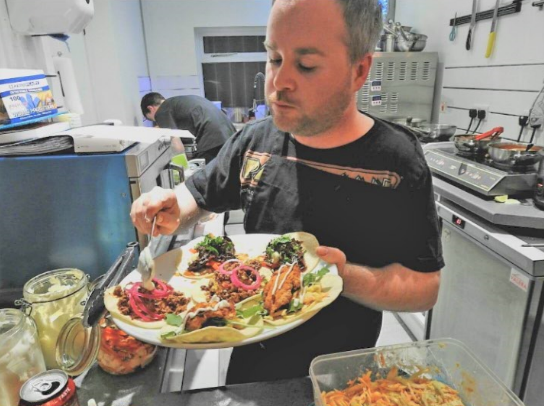 He also seeks out to be creative regarding events that specialise in veganism so that vegans are offered a menu that is fresh, fun and not limited. The Elements Takeover event was a mutual event idea which saw an exciting collaboration between two independent business owners to promote great quality food and drink products. Do you ever switch off from analysing food? Can you still eat for pleasure? Our passion for great food makes it difficult for us to switch off from analysing food. Whenever we eat out, we do end up analysing the food-making process and flavour. Whilst in the process of analysing other dishes, this helps us in the thought-making process of our own dishes in terms of what could be improved. Pleasure comes from testing a variety of dishes enabling us to push the boundaries. Tom Kerridge is an inspiration to Shane, in that he takes well-known recipes and adds his own independent spin onto them. Shane also admires that Kerridge had opened his own gastro pub which then turned into a 3-star Michelin eatery. Shane’s aspirations are similar to those of Kerridge in terms of owning a well-known establishment but adding an independent twist to it. Do you own any cookbooks? Shane: Tacopedia which is a breakdown of different tacos by region in Mexico is a good read. 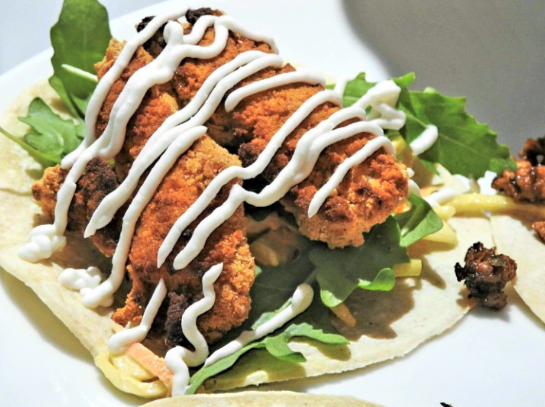 Breddos which is owned by a company of the same title explores Mexican flavours and adds a modern spin to the recipes. Tara: Doctora Odile Fernandez wrote a cookbook which was released in Spain called Anti-cancer comprising healthy recipes which are enjoyable but aid well-being and functioning of a healthy human body. This book has inspired millions of women across Spain who have suffered with cancer, but also suffered with other health conditions which require them to have a stricter diet. This book made healthy meals more exciting for me. What is your favourite dish from your menu? Shane: my favourite dish is the gluten-free porter braised ox cheek with charred spring onion crema and pickled vegetables stuffed inside a taco. It combines my two favorite joys of life, meat and beer! Tara: my favourite dish is definitely the jackfruit buritto bowl with vegan cheese sauce. This is because it is a healthy, fun dish which possesses great alternatives to meat without losing the actual texture of what other meat dishes offer. Sarah: Nachos with garlic chive sour cream, jalapenos and salsa roja is on my favourite list. This is because you get a variety of choice in one dish, which is great for somebody like me who is indecisive when it comes to choosing a dish. Do you cater for dietary requirements (coeliac, vegan, etc.)? Well our business idea sprung from our desire to provide food for people with the coeliac condition. We then found ourselves venturing more into catering for every food type. So we cater for meat-eaters, vegetarians, vegans and lactose intolerants. Options include jackfruit as a meat alternative, garlic and ordinary mayonnaise that suit everyone. Do you have a diary of upcoming events? What culinary feasts can we expect from El Contador this year? We will be at Bustler Street-food Market Derby for the May bank holiday weekend on 26th May, which we are really looking forward to. There is also another Elements take-over in the pipeline, so do keep your eyes peeled for that. 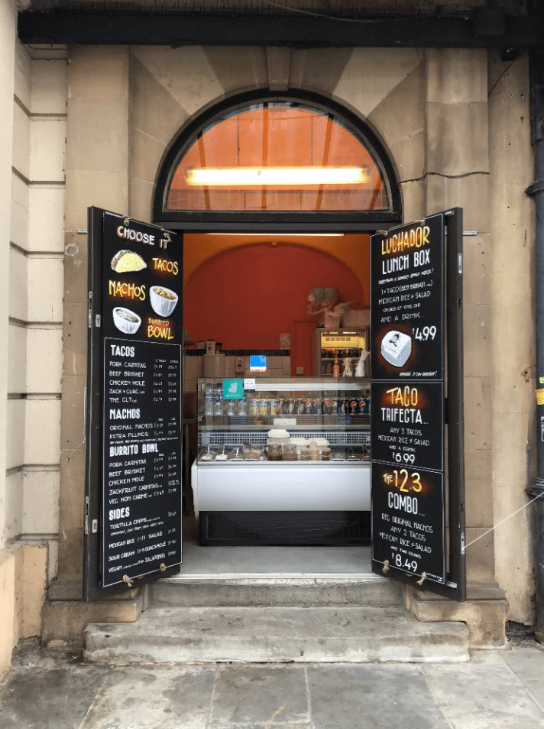 For more information about El Contador: The Mexican Food Counter, please visit their cute-as-heck kiosk at 6 Royal Buildings, Victoria Street, Derby DE1 1EQ.